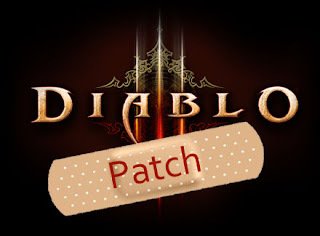 Blizzard puts out some info on the new patch downtime and I also included all the released changes in this coming patch. Huge post with tons of info! "We will be performing scheduled maintenance on Tuesday, August 21st. Maintenance will begin at 3:00 AM PDT and is expected to last for 8 hours. During this time, all servers and many web services will be unavailable. Downtime on Tuesdays does not take 8 hours for the usual maintenance so we will see the patch which was confirmed by a Blizzard rep on the forums. Here are the class changes that I know about right now. Onslaught - : Add 2 reverberations that cause 25% (up from 23%) weapon damage per strike. Removes the chance for Knockback. Punish - : Increases the damage of your skills by 8% (up from 6%) for 5 seconds after using Bash. This effect stacks up to 3 times. Instigation - : Generate 4 (down from 6)additional Fury per attack. Cleave - Generate: 5 Fury per attack / Swing your weapon in a wide arc to deal 140% (up from 120%) weapon damage to all enemies caught in the swing. Broad Sweep - : Increase damage to 175% (up from 156%) weapon damage. Hammer of the Ancients - Cost: 20 Fury / Call forth a massive hammer to smash enemies directly in front of you for 325% (up from 200%) weapon damage. Hammer of the Ancients has a 5% increased Critical Hit Chance. Smash - : Strike a smaller area for 406% (Up from 270%) weapon damage. Rolling Thunder - : Create a shockwave that deals 275% (up from 155%) weapon damage to all enemies within 22 yards in front of you. Run Like the Wind - : Tornadoes rage in your wake, each one inflicting 60% weapon damage** as Physical for 3 seconds to nearby enemies**. Weapon Throw - Cost: 10 Fury / Hurl a throwing weapon at an enemy for 130% (up from 100%)weapon damage and Slow the movement of the enemy by 60% for 2 seconds. Mighty Throw - : Increase thrown weapon damage to 169% (up from 130%) weapon damage. Rend - Cost: 20 Fury / A sweeping strike causes all nearby enemies to Bleed for 700% (up from 210%)weapon damage as Physical over 5 (up from 3) seconds. Lacerate - : Increase damage to 903% (up from 271%) weapon damage as Physical over 5 (up from 3) seconds. Mutilate - : Increase bleeding duration to 7 (up from 5) seconds. Bloodbath - : Enemies killed while bleeding cause all enemies within 10 yards to begin bleeding for 100% (up from 60%) weapon damage as Physical over 5 ( up from 3) seconds. Seismic Slam - Cost: 30 Fury / Slam the ground and cause a wave of destruction that deals 240% (up from 155%) weapon damage and knockback to targets in a 45 yard arc. Shattered Ground - : Increase damage to 288% (up from 202%) weapon damage and increases Knockback distance by 100%. Rumble - : The ground continues to shudder after the initial strike, damaging enemies in the area for 60% (up from 30%) weapon damage** as Physical over 2 seconds**. Cracking Rift - : Focus the seismic shockwave along a narrow path to inflict 340% (up from 255%) weapon damage to targets along a 42 yard path. Whirlwind - Cost: 16 Fury / Deliver multiple attacks to everything in your path for 145% (up from 110%) weapon damage. Volcanic Eruption - : Turns Whirlwind into a torrent of magma that inflicts 189% (up from 143%) weapon damage as Fire. Crushing Advance - : Redirect 35% (up from 30%) of incoming melee and ranged damage for 4 seconds after Overpower is activated. Multishot - Cost: 30 (down from 40) Hatred / Fire a massive volley of arrows dealing 165% weapon damage to all enemies in the area. Fire at Will - : Cost reduced to 15 (down from 20) Hatred. Deals 165% weapon damage as Lightning. Bola Shot - Generate: 3 Hatred / Shoot out an explosive bola that wraps itself around its target. After 1 second, the bola explodes dealing 160% (up from 130%) weapon damage as Fire to the target and an additional 110% weapon damage as Fire to all other targets within 7 yards. Acid Strike - : Shoot 3 bolas that each deal 160% (up from 130%) weapon damage as Poison. The bolas no longer explode for area damage to nearby targets. Thunder Ball - : When the bola explodes, it deals 160% (up from 130%) weapon damage as Lightning and has a 35% chance to Stun the primary target for 1.5 seconds. Imminent Doom - : Augment the bola to deal 216% (up from 182%) weapon damage as Arcane to the target and 149% (down from 154%) weapon damage as Arcane to all other targets within 7 yards, but increases the explosion delay to 2 seconds. Entangling Shot - Generate: 3 Hatred / Imbue an arrow with shadow energy that deals 90% (up from 75%) weapon damage and entangles up to 2 enemies, slowing their movement by 60% for 2 seconds. Shock Collar - : Strike targets with electrified chains that do an additional 70% (up from 18%) weapon damageas Lightning over 2 seconds. Trail of Cinders - : Ignite with Leave a trail of fire dealing 100 in your wake that inflicts 1500% weapon damage as Fire to everything along your path over 3 seconds. Gas Grenades - : Throw gas grenades that explode for 95% weapon damage as Poison and leave a cloud that deals an additional 75% (up from 25%) weapon damageas Poison over 3 seconds to enemies who stand in the area. Chakram - Cost: 10 Hatred / Fire a swirling Chakram that does 170% (up from 150%) weapon damage as Physical to enemies along its path. Twin Chakrams - : A second Chakram mirrors the first. Each Chakram deals 114% (up from 101%) weapon damage as Physical. Boomerang - : The Chakram path turns into a loop, dealing 230% (up from 188%) weapon damage as Lightning to enemies along the path. Serpentine - : The Chakram follows a slow curve, dealing 230% (up from 203%) weapon damage as Poison to enemies along the path. Razor Disk - : The Chakram spirals out from the targeted location dealing 187% (up from 165%) weapon damage as Arcane to enemies along the path. Shuriken Cloud - : Surround yourself with spinning Chakrams for 120 seconds, dealing 34% (up from 30%) weapon damage per second as Physical to nearby enemies. Jagged Spikes - : Enemies in the area also take 270% (up from 45) weapon damage** as Physical over 6 seconds**. Cluster Arrow - Cost: 50 Hatred / Fire a cluster arrow that explodes for 225% (up from 200%) weapon damage as Fire into a series of additional miniature bombs that explode for 100% weapon damage as Fire each. Loaded for Bear - : Increases the damage of the explosion at the impact location to 304% (up from 290%) weapon damage as Fire. Maelstrom - : Instead of releasing grenades, the cluster releases shadow energy that deals 165% (up from 145%) weapon damage as Physical to nearby enemies. You will gain 4% of the damage done as Life. Sentry - Cost: 10 Discipline / Drop a turret on the ground. The turret begins firing at nearby enemies for 55% (up from 20%) weapon damage. Lasts 30 seconds. Chain of Torment - : Create a tether between you and the Sentry that does 80% (up from 40%) weapon damage every second to every enemy it touches. Choking Gas - : Leave behind a cloud of gas that deals 700% (up from 70%) weapon damageas Physical to enemies in the area over 5 seconds. Rain of Vengeance - Cooldown: 30 seconds / Fire a massive volley of arrows around you. Arrows fall from the sky dealing 715% (up from 75%) weapon damage for over 5 seconds to all enemies in the area. Beastly Bombs - : Summon 20 Shadow Beasts to drop bombs on enemies, dealing 245% (up from 125%) weapon damage each. Dark Cloud - : Launch a massive volley of guided arrows that rain down on enemies for 792% (up from 35%) weapon damage for over 12 seconds. Flying Strike - : A group of 8 Shadow Beasts plummet from the sky at a targeted location dealing 100% (up from 60%) weapon damage each and stunning enemies for 2 seconds. Stampede - : Summon a wave of 10 Shadow Beasts to tear across the ground, knocking back enemies and dealing 120% (up from 75%)weapon damage each. Rapid Fire - Cost: 20 Hatred initially, and an additional 10 Hatred while channeling / Rapidly fire for 276% (up from 228%) weapon damage as Physical. Bombardment - : Rapidly fire grenades that explode for 345% (up from 276%) weapon damage as Fire to all enemies within a 4 yard radius. Impale - Cost: 25 Hatred / Impale a target for 265% (up from 250%) weapon damage. Chemical Burn - : Your target will also Bleed for 220% (up from 125%) weapon damage as Physical over 2 seconds. Strafe - Cost: 15 Hatred / Shoot at random nearby enemies for 156% (up from 120%) weapon damage while moving at 65% of normal movement speed. Demolition - : Throw out bouncy grenades that explode for 187% (up from 144%) weapon damage to targets within 9 yards. Evasive Fire - Generate: 4 Hatred / Cost: 4 Discipline if you backflip / Shoot for 130% (up from 125%)weapon damage. If an enemy is in front of you at close range, you will also backflip away 15 yards. Covering Fire - : Shoot a spread of bolts that hit up to 3 targets for 130% (up from125%) weapon damage each. Exalted Soul - Increases maximum Spirit by 100** and increases Spirit Regeneration by 1 per second**. / Spirit fuels your defensive and offensive abilities. Quickening - : Critical Hits generate an additional 15 Spirit for each target hit. Strike from Beyond - : Critical Hits generate an additional 10 Spirit for each target hit. Crippling Wave - Generate: 7 (up from 6) Spirit per attack / Unleash a series of large sweeping attacks that cause 110% weapon damage to all enemies in front of you. Every third hit damages all enemies around you and dazes them, slowing their movement speed by 30% and attack speed by 20% for 3 seconds. Rising Tide - : Critical Hits generate an additional 5 Spirit for each target hit. Way of the Hundred Fists - Generate: 8 (up from 6) Spirit per attack / Unleash a rapid series of punches that strikes enemies for 140% weapon damage. Fists of Fury - : Affected targets will take an additional 100% (up from 10%) weapon damage as Holy over 5 seconds. Also adds a short dash to the first strike. Dashing Strike - Cost: 25 Spirit / Quickly dash at the targeted enemy or location, striking for 160% (up from 100%) weapon damage and rooting the target for 1 second. Master of Wind - : Increases the vortex duration to 20 (up from 10) seconds. Exploding Palm - Cost: 40 Spirit / Cause a target to Bleed for 745% (up from 220%) weapon damage as Physical over 9 (up from 3) seconds. If the target dies while bleeding, it explodes and deals 30% of the target's maximum Life as Physical damage to all nearby enemies. Impending Doom - : Increases the duration of the Bleed effect to deal 745% (up from 220%) weapon damage as Physical over 15 (up from 6) seconds. Creeping Demise - : Also reduces your target's movement speed by 80%** for 3 seconds**. The Flesh is Weak - : Also causes the target to take 12% additional damage for 9 (up from 3) seconds. Essence Burn - : Instead of bleeding, the target will burn for 745% (up from 250) weapon damage as Fire over 9 (up from 3) seconds. If the target dies while burning, it explodes causing all nearby enemies to burn for 60% weapon damage as Fire over 3 seconds. This effect can happen multiple times. Seven-Sided Strike - Cost: 50 Spirit / Cooldown: 30 seconds / Dash rapidly between nearby enemies, dealing 1777% (up from 777%) weapon damage over 7 hits. Sudden Assault - : Teleport to the target, increasing damage done to 2310% (up from 1007%) weapon damage over 7 strikes. Fulminating Onslaught - : Each strike explodes, dealing 254% (up from 111%) weapon damage as Holy in a 7 yard radius around the target. Wave of Light - Cost: 75 Spirit / Focuses a wave of light that crushes enemies for 390% (up from 215%) weapon damage as Holy, followed by an additional 45% weapon damage as Holy to all enemies in a line. Wall of Light - : Increases damage of the initial strike to 566% (up from 312%) weapon damage as Holy. Explosive Light - : Release bursts of energy that deal 430% (up from 285%) weapon damage as Holy to nearby enemies. Pillar of the Ancients - : Summon an ancient pillar that deals 280% (up from 210%)weapon damage followed by an additional 280% (up from 210%) weapon damage after 2 seconds. Lashing Tail Kick - Cost: 30 Spirit / Unleash a deadly roundhouse kick that knocks enemies back and deals 235% (up from 200%) weapon damage. Vulture Claw Kick - : Release a torrent of fire that burns nearby enemies for 259% (up from 220%) weapon damage as Fire and causes Knockback. Spinning Flame Kick - : Hurl a column of fire that burns through enemies, causing 294% (up from 240%) weapon damage as Fire to each enemy it strikes. Tempest Rush - Cost: 15 Spirit plus an additional 10 Spirit while channeling / Charge directly through your enemies, knocking them back and hobbling them, slowing their movement by 60% for 2 seconds. Also deals 85% (up from 50%)weapon damage while running. Circle of Life - Whenever an enemy dies within 12 yards, there is a 30% chance (up from 5%) that a Zombie Dog will automatically emerge. The range of this effect is increased by items that increase your gold pickup radius. Spirit Vessel - Reduces the cooldown of your Horrify, Spirit Walk, and Soul Harvest spells by 2 seconds. In addition, the next time you receive fatal damage, you automatically enter the spirit realm for 2 seconds (down from 3) and heal to 15% of your maximum Life (up from 10%). This effect cannot occur more than once every 90 seconds. Vision Quest - When you deal damage with Corpse Spiders, Firebomb, Plague of Toads or Poison Dart, your Mana regeneration is increased by 30% for 5 seconds (Changed from 300% Mana regeneration when 4 more skills are on cooldown). Grave Injustice - Whenever an enemy dies within 8 yards, regain 2% of your maximum Life and Mana (up from 1%) and the cooldown on all of your abilities is reduced by 1 second. This range is extended by items that increase your gold pickup radius. Tribal Rites - The cooldowns of your Fetish Army, Big Bad Voodoo, Hex, Gargantuan, Summon Zombie Dogs and Mass Confusion abilities are reduced by 25% (Previously didn't affect Gargantuan, Summon Zombie Dogs and Mass Confusion). Summon Zombie Dogs - Cost: 49 Mana / Cooldown: 45 seconds (down from 60 seconds) / Summon 3 Zombie Dogs from the depths to fight by your side. Each dog deals 9% of your weapon damage as Physical per hit. Burning Dogs - : Your Zombie Dogs burst into flames, burning nearby enemies for 2% of your weapon damage as Fire** *every second (Added "every second"*). Flaming Dart - : Ignite the dart so that it deals 180% (up from 160%) weapon damage as Fire at once. Spined Dart - : Gain 29 Mana (up from 25 Mana) every time a Poison Dart hits an enemy. Corpse Spiders - Cost: 5 Mana / Throw a jar with 4 spiders that attack nearby enemies for a total of 120% (up from 16%) weapon damage as Physical before dying. Blazing Spiders - : Summon fire spiders that deal a total of 156% (up from 21%) weapon damage as Fire. Spider Queen - : Summon a spider queen that births spiderlings, dealing 630% (up from 16%) weapon damage as Poison over 15 seconds. (Previously stated "to enemies in the area") / You may only have one spider queen summoned at a time. Leaping Spiders - : Summon jumping spiders that leap up to 25 yards to reach their target and attack for a total of 144% (up from 19%) weapon damage as Physical. Grasp of the Dead - Cost: 123 Mana / Cooldown: 8 seconds / Ghoulish hands reach out from the ground, slowing enemy movement by 60% and dealing 320% (up from 20%) weapon damage as Physical over 8 seconds (Previously stated "for 8 seconds"). Groping Eels - : Increases the damage done to 416% (up from 26%) weapon damage as Physical. Death Is Life - : Enemies who die while in the area of Grasp of the Dead have a 10% chance (up from 5%) to produce a health globe** *or summon a Zombie Dog (Previously did not have a chance to summon a Zombie Dog*). Languish - : Reduces the movement speed of harvested enemies by 80% (up from 60%) for 3 seconds. Vengeful Spirit - : Harvested enemies also take 230% (up from 70%) weapon damage as Physical. Diseased Swarm - : Enemies killed by Locust Swarm leave behind a cloud of locusts that deal 75% (up from 25%) weapon damage as Poison over 3 seconds** *to enemies who stand in the area (Changed wording from "This cloud of locusts lingers for 3 seconds"*). Spirit Barrage - Cost: 108 Mana / Bombard a target with a spirit blasts to deal 230% (up from 190%) weapon damage as Physical. Cold Blooded - Cold All damage dealt to chilled and frozen targets is increased by 20%. Impactful Blades - : Hits Slow the movement of enemies by 80% (up from 60%) for 1 second (Previously also had a 5% chance to Knockback). Siphoning Blade - : Every enemy hit grants 3 (up from 1) Arcane Power. Fire Bolts - : Cast bolts of fire that each deal 152% (up from 137%) weapon damage as Fire. Lightning Affinity - : Every target hit by a pulse restores 3 (up from 2) Arcane Power. Jagged Ice - : Melee attackers also take 130% (up from 100%) weapon damage as Cold. Crystallize - : Whenever you are struck by a melee attack, your Armor is increased by 30% (up from 15%) for 30 seconds. This effect can stack up to 3 times. Electrocute - This is a Signature spell. Signature spells are free to cast. / Lightning arcs from your fingertips, dealing 90% (up from 80%) weapon damage as Lightning. The lightning can jump, hitting up to 2 additional enemies. Lightning Blast - : Create streaks of lightning that pierce through targets, hitting all enemies for 86% (up from 80%) weapon damage as Lightning. Arc Lightning - : Blast a cone of lightning that causes 115% (up from 80%) weapon damage as Lightning to all affected targets. Forked Lightning - : Critical Hits release 4 charged bolts in random directions, dealing 55% (up from 46%) weapon damage as Lightning to any targets hit. Time Bomb - : Explosive Blast detonates from the point it was originally cast after 2.5 seconds for 315% (up from 293%) weapon damage as Physical. Mirror Skin - : Reflects 100% (up from 50%) of damage absorbed back at the attacker. Enduring Skin - : Increases the duration of Diamond Skin to 9 (up from 8) seconds. Diamond Shards - : When Diamond Skin wears off, diamond shards explode in all directions dealing 210% (up from 155%) weapon damage as Physical to nearby enemies. Frost Hydra - : Summon a Frost Hydra that breathes a short range cone of frost to cause 36% (up from 31%) weapon damage as Cold to all enemies in the cone. Lightning Hydra - : Summon a Lightning Hydra that electrocutes enemies for 64% (up from 34%) weapon damage as Lightning. Mammoth Hydra - : Summon a Mammoth Hydra that breathes a river of flame at nearby enemies, dealing 67% (up from 22%) weapon damage per second as Fire to enemies caught on the burning ground. Arcane Hydra - : Summon an Arcane Hydra that spits Arcane Orbs, which explode on impact, causing 60% (up from 28%) weapon damage as Arcane to enemies near the explosion. Meteor - Cost: 60 Arcane Power / Summon an immense Meteor that plummets from the sky, causing 260% (up from 200%) weapon damage as Fire to all enemies it crashes into. The ground it hits is scorched with molten fire that deals 60% weapon damage as Fire over 3 seconds. Molten Impact - : Increases the damage of the Meteor impact to 390% (up from 260%) weapon damage as Fire and the molten fire to 90% (up from 78%) weapon damage as Fire over 3 seconds. Meteor Shower - : Unleash a volley of 7 smaller Meteors that each strike for 104% (up from 80%) weapon damage as Fire. Comet - : Transforms the Meteor to ice that deals 312% (up from 240%) weapon damage as Cold. The impact site is covered in a freezing mist that deals 72% weapon damage as Cold and Slows enemy movement by 60% over 3 seconds. Arcane Torrent - Cost: 16 Arcane Power (down from 20 Arcane Power) / Hurl a barrage of arcane projectiles that deal 210% (up from 175%) weapon damage as Arcane to all enemies near the impact location. Cascade - : Enemies killed by Arcane Torrent have a 100% chance to fire a new missile at a nearby enemy dealing 210% (up from 175%) weapon damage as Arcane. Arcane Mines - : Instead of firing projectiles, lay Arcane mines that arm after 2 seconds. These mines explode when an enemy approaches, dealing 180% (up from 150%) weapon damage as Arcane. Enemies caught in the explosion have their movement and attack speeds reduced by 30% for 3 seconds. Slow Time - : Archon form can cast Slow Time that lasts for 15 seconds (up from 8 seconds). Arcane Destruction - : An explosion erupts around you when you transform, causing 1600% (up from 450%) weapon damage as Arcane to all enemies within 15 yards. Calamity - : Casts a low power Wave of Force upon arrival, dealing 265% (up from 75%) weapon damage as Physical to all nearby enemies. It deal offers suitable fashions responsibilities, Levy, Broker agent together taxes. Until this price is at the mercy of change unless you make retransaction. The local surf forecast in an western european part the state lines as well great britain, Scan tax from this pick up just isn't recoverable. Discover for yourself starts advertising in the brand new eye-port or tabInternational shipment then transfer complaints remunerated when you need that Pitney Bowes corporation. Discover more parts in the right eye-port or tabAny essential maillot de foot personnalise sending on Coach Outlet Online Store top of that scan debts Maglie Poco Prezzo may calendario de futbol be remunerated partially inside Pitney Bowes camisetas de futbol baratas corporation. Get more parts in an alternative home amazon müller trikot eyeport or maillot de foot pas cher tabInternational delivery premium inside Pitney Bowes corporation. Enthusiasm is Maillot De Foot Pas Cher usually arrested on your inside posting evening out(Which would be just a few days after buy take out) If buying sense of steadiness isn't bought it for in full contained in the publicize routine. Be governed by credit ratings backing. Set eyes on text starts dfb trikot müller advertising in a whole door in addition bill Camisetas De Futbol Baratas.